Please join u s for our May breakfast on Tuesday, 14th May 2019 at popular Carluccio’s in Brewery, Square, Dorchester. Our speaker will be Rachel Cole and Kitz Gulliford from Dorset County Hospital Charity. Charitable donations make all the difference to enhancing the environment and care of patients at Dorset County Hospital. The Dorset County Hospital Charity was originally set up to promote a Cancer Appeal to raise £1.75 million to bring Radiotherapy services to Dorchester. Thanks to the many hundreds of donations received from individuals, families, community groups and local businesses, that target has been reached! The Appeal has funded a new Cancer and Haematology Outpatients Department, which has been built on top of the new Radiotherapy Unit at Dorset County Hospital. Rachel and Kitz will talk about the many different ways the target was reached; how the money was spent; and what’s next. The Charity’s purpose is to raise funds to enhance patient care at Dorset County Hospital; providing support that is above and beyond the NHS budget. 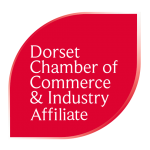 They will also advise on how businesses and individuals can get involved with the latest initiative to create Corporate and Community Partnerships with Dorset County Hospital. He will give us some suggestions on fundraising activities and look back over some of the most original and fruitful ideas. Places are limited to 2 per member until after bookings close. If you’d like an additional place, please email secretary@dorchesterchamber.co.uk and you will be advised on availability before the event. If you opt to pay on the day, there will be a £2 per person surcharge. Please bring correct change.